Ever wondered how it would look when the Bitcoin finally lands on the Moon? 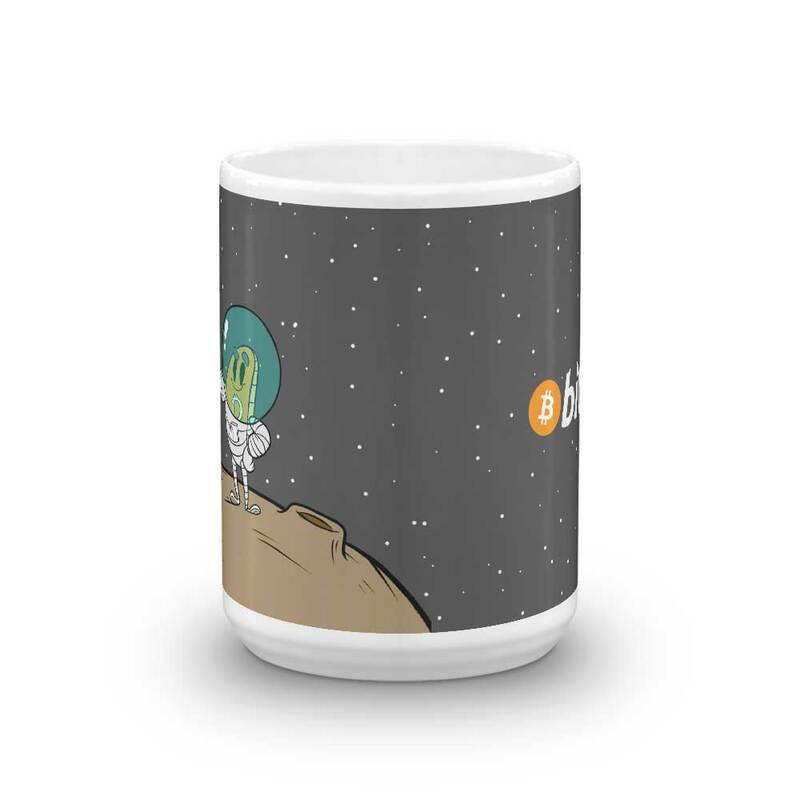 Well, we had a dream about it and illustrated it on this white, ceramic, glossy mug. 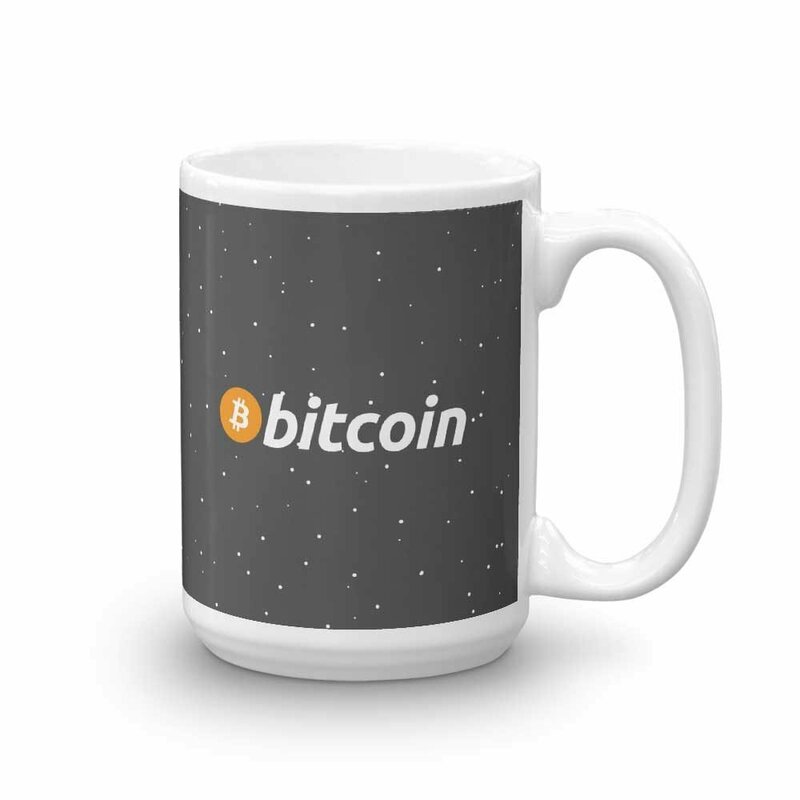 We made a cup which will make your morning routine of checking Bitcoin prices even more enjoyable. The mug is available in sizes: 11 and 15oz. 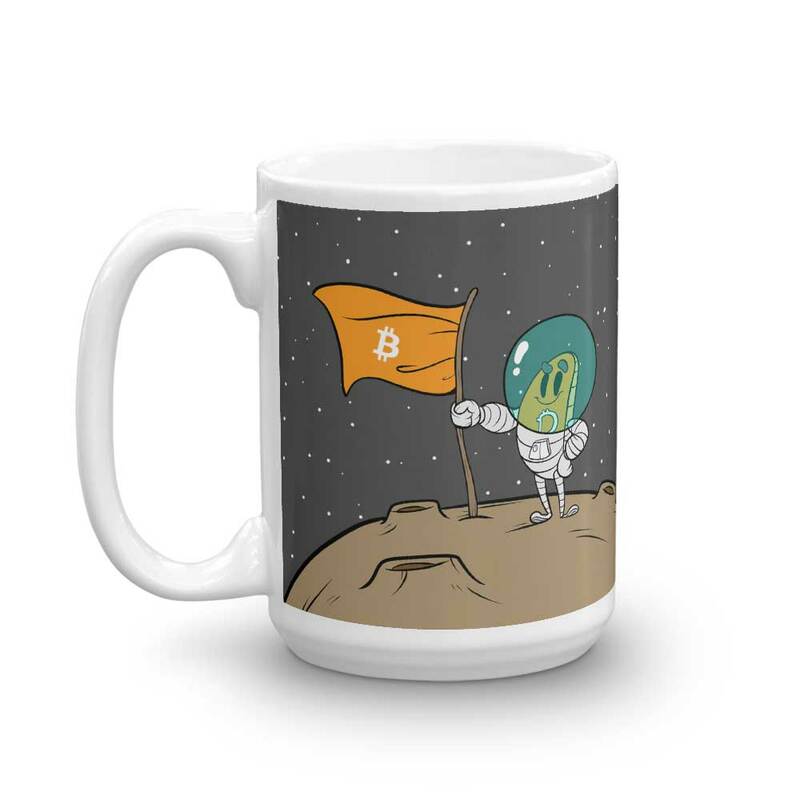 The illustration represents our well-known cryptocurrency character holding a flag with Bitcoin logo. It to represent the strength of the community. We are still not on the Moon, but we are getting close. The mug itself is made of ceramic. It’s glossy and represents true colors with quality assurance to withstand the heat in the microwave and put it in the dishwasher as many time as you like, the quality will not be altered. If I had to nitpick, the color of the background in the mug is slightly different than in the image listing. I washed this mug few times in microwave and it was not damaged. 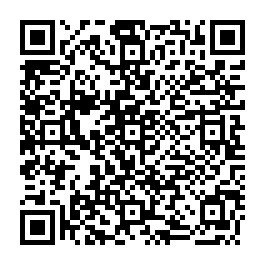 Perfect, lightning speed service !